This is for those frustrated with being inferior. For those ready to entertain the possibility of being something else--something special. For those looking to trade in the discomfort of decline, for the discomfort of improvement. Strength, resilience and ability is what defines this program. Ultimately, this isn't about obsessing over body composition and appearance. The focus is to restore our bodies basic physical abilities and improve them. The commitment to that goal ends up cultivating a disciplined mentality--and the body simply improves as a byproduct of adapting strong life habits. 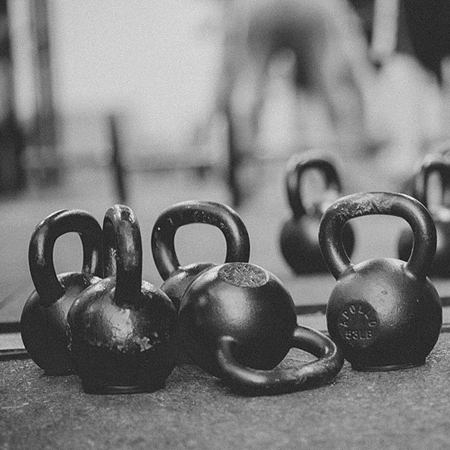 Compound lifting via kettlebells/barbell strengthens the largest muscle groups in our body, providing a stable and shapely frame throughout the entire body; upper, middle and lower. High Intensity Interval Training keeps our arteries pliable and strong. By elevating our heart rates, we burn fat faster and build a higher tolerance to stress. Human movement patterns is about restoring the point of being strong: so we can do things. Walking, running, jumping, crawling, climbing, pushing, and pulling. lets start. the details will take care of itself. Let's start with a complimentary session and build some familiarity and rapport. You'll get a feel for the training and approach, while I get a feeling for your starting point. As soon as I’m done training I’ll make it a priority to reach out! Hang tight!